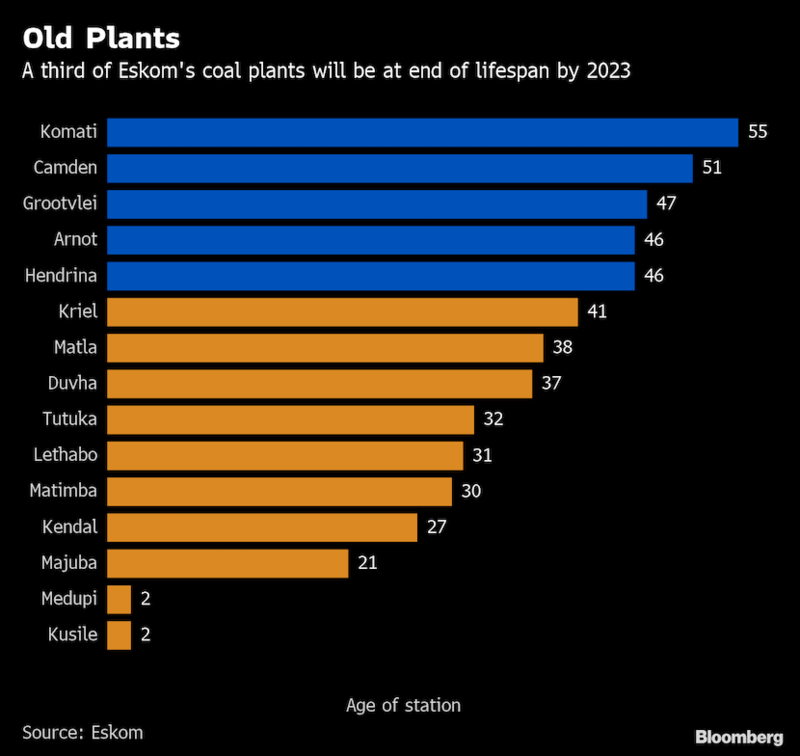 (Bloomberg) – An electricity-supply crisis is looming in South Africa that could make intermittent outages in the past few months seem trivial by comparison. 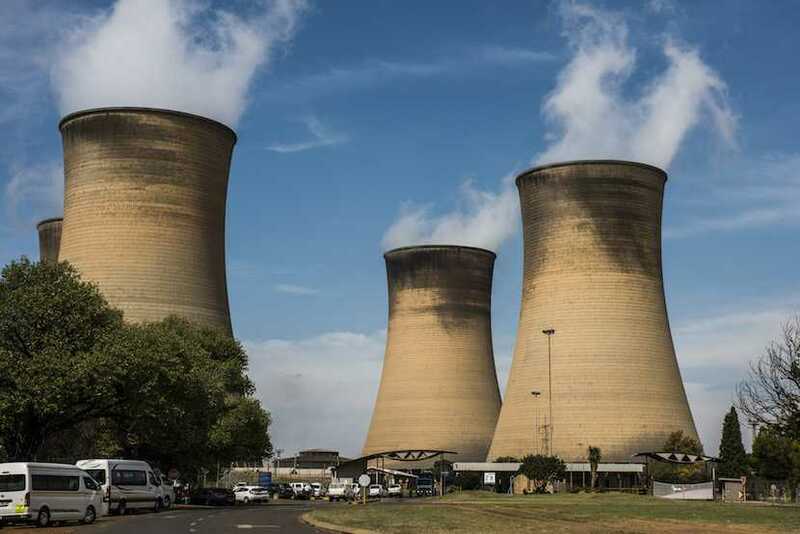 Eskom Holdings SOC Ltd., which supplies almost all the nation’s power, will lose more than a quarter of its current generating capacity over the next decade as it shuts aging coal-fired plants. 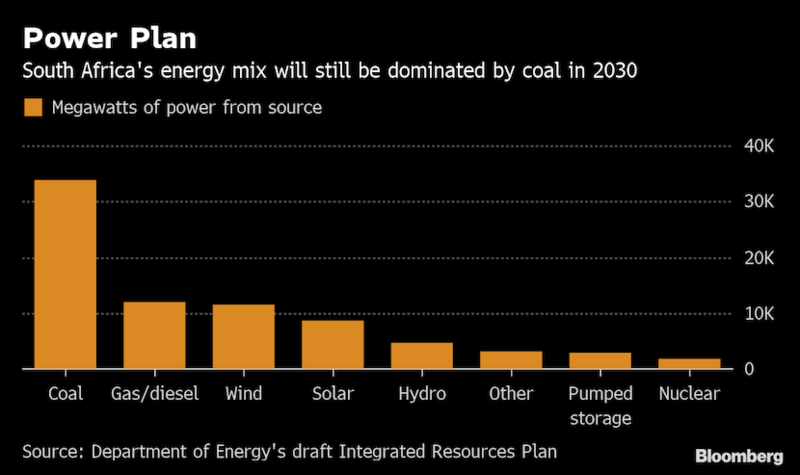 Replacing that output and adding capacity needed to meet rising demand will take years and cost more than R1trn ($71bn), according to government estimates. The problem is likely to worsen exponentially after 2030 as more plants reach retirement age. Engie SA, which operates the 100-megawatt Kathu concentrated solar power project 600 kilometres (373 miles) southwest of Pretoria and feeds into the grid, is among power companies that are awaiting the finalisation of the IRP and the issuing of new power supply tenders.